whether you want to or not. . . .
Elsie de Wolfe, 1865-1950, "First Lady of Interior Decoration"
Take eight minutes today for Saturday Short. Poet Shane Koyczan's wonderful "To This Day", an animated spoken-word poem about bullying, is not to be missed. ✦ First published in 1989, the quarterly Raw Vision magazine is the only international journal of so-called "outsider art", work by largely untrained, unschooled, and uninfluenced artists who invent their own forms and techniques to express their creativity. 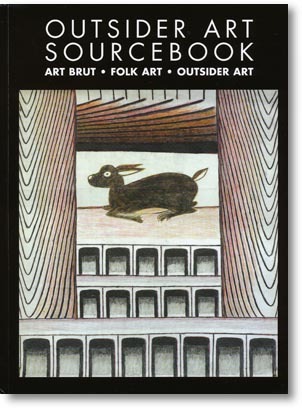 Raw Vision recently released an updated version of the Outsider Art Sourcebook; see a preview here. ✦ Discover the lovely work of artist Wilma Wagenaar, who organizes painting retreats in monasteries in Belgium and the Netherlands and is an art lecturer and teacher. Of special note: her "SeeYou" project, begun in 2009. 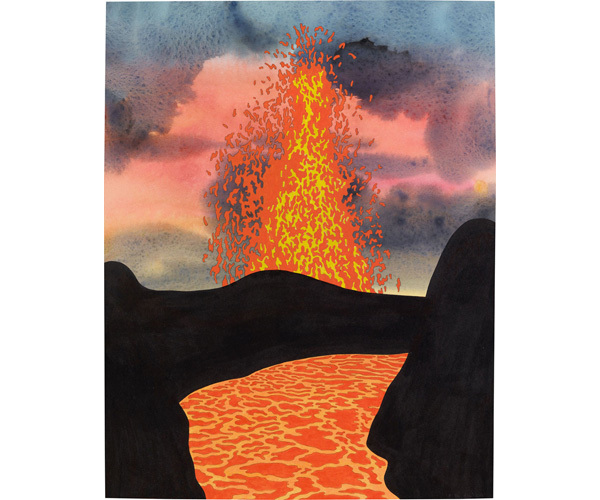 ✦ Those who appreciate outsider art will enjoy the online images of The Anthony Petullo Collection. Also provided are excellent brief profiles of the artists. Check the site periodically for its interesting online exhibitions. Petullo donated more than 300 drawings, paintings, and sculptures from his collection to the Milwaukee Art Museum. Also see Gautier Deblonde's photographs of Mueck's London studio. Deblonde's film about the artist's creation of three sculptures made especially for the exhibition is being shown at the Foundation. Mueck's book Boy (Anthony d'Offay Gallery, 2002) features Deblonde's images of Mueck's creation for London's Millennium Dome. 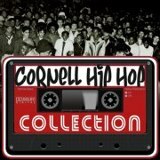 ✭ Cornell University, Ithaca, New York has put on view a selection from its more than 50,000-item Hip Hop Collection. Running through February 4, 2014, "The Hip Hop Collection Exhibition" at Hirshland Exhibition Gallery, Carl A. Kroch Library, includes rare and classic vinyl records, photographs, event flyers with artwork by "The King of the Flyer" Buddy Esquire, early live performance recordings, audio of interviews, production notes from Charlie Ahearn's "Wild Style" (1983), the first feature film about hip-hop culture; artwork, and ephemera, plus unique artifacts loaned for the exhibit by artists, collectors, and hip hop supporters. The show is part of an Ithaca community-wide celebration "Hip Hop: Unbound from the Underground", marking 40 years of hip-hop culture. ✭ New York City's Drawing Center, in Soho, commissioned British artist Terry Smith to create Capital Revisited, a series of wall and window drawings that reference Smith's Capital created at the British Museum in 1995. Smith's site-specific work was presented in May as part of IDEAS CITY 2013, a biennial street festival during which Smith engaged with the public in creating drawings of capitals using stencils, spray paint, cryon, and pencil. A related exhibition, "Terry Smith: Document", which opened June 19 and is on view through August 18 at The Drawing Center, highlights photographs, drawings, film, and notebook sketches from Smith's project. Smith is co-founder of workinprogress and a founding member of Humanrights TV. He also is involved with The Experimental Art School, which went live in January 2012. ✭ A survey comprising 65 Ken Price (1935-2012) drawings, "Ken Price: Slow and Steady Wins the Race, Works on Paper, 1962-2010", also is on view at The Drawing Center until August 18. The first such exhibition for Price, known for his sculpture, showcases the artist's techniques and wide-ranging subject matter. The show travels to Buffalo's Knox Art Gallery in September and next year will appear in Taos at Harwood Museum of Art. An illustrated 168-page edition for the Drawing Papers series will accompany the exhibition. ✭ SITE Santa Fe is presenting from July 13 to October 13 "Enrique Martinez Celaya: The Pearl", for which Martinez Celaya (b. 1964), a physicist as well as an artist, will use 15,000 square feet of gallery space to create an installation that includes his large and small paintings, sculptures, video, waterworks, and "olfactory interventions". The exhibition is describes as a multi-sensory environment that serves as an extended metaphor on the concept of home as destination and point of departure. Martinez Celaya has collaborated with Santa Fe's Radius Books to produce an exhibition-related artist's book. Christian Williams made a film about the artist in 2009; see Making Art here. Images from the book may be viewed here. My thanks to Hannah Stephenson at The Storialist for introducing me to Jeffers's artwork. A monograph of Jeffers's paintings, collages, installations, and collaborative works, Neither Here Nor There: The Art of Oliver Jeffers, was published by Gestalten in 2012. A limited-edition of the mongraph is available through Jeffers's Website, where you'll also find images of a selection of his paintings. Here's something to look forward to: A documentary about the life and work of great poet and environmentalist W.S. Merwin is in production. Here's a clip that first appeared in the successful indiegogo campaign to raise funds to complete the film, titled Even Though the Whole World Is Burning. The director and producer is Stefan Schaefer. tendered in praise of one more winter's rains. yet to forgive the culminating treason of x's and o's. * Inspired by the question "Do I move toward form, do I use all my fears?" in "Double Ode" from The Gates (1976) in The Muriel Rukeyser Reader (W.W. Norton, 1994), 271. The collection is available through re-sellers. The poem is included in The Collected Poems of Muriel Rukeyser (University of Pittsburgh Press, 2006). If you've ever been exposed to the work of Dave Bonta, Nic Sebastian, and Swoon, you know their collaborations are always a treat. If you are reading the trio's names for the first time, prepare yourself for unparalleled talent and creativity. Bonta released earlier this spring his free digital poetry chapbook, the ekphrastic Twelve Simple Songs. (The chapbook is available in multiple e-formats. A print copy with photographs may be ordered from Peecho.) Soon after, he collaborated with Sebastian and Swoon to produce the videopoem Twelve Simple Songs. The words are Bonta's; the idea and voice, Nic Sebastian's; and the concept, editing, and music, Swoon's. The camera work is by Mathew Augustus, H. Hattori, Swee Sin Eng, and Swoon. 12 Simple Songs from Swoon on Vimeo. You can find Dave Bonta at via Negativa. Bonta's author page for his chapbook is here. Nic Sebastian, who is herself a fine poet and known for her evocative readings, writes at Very Like a Whale. She has created a page about her work online that includes links to her poems and other projects. Belgian filmmaker Swoon has helped create scores of impressive videopoems, a number of which have been screened at various festivals. Be sure to visit his Website, where you'll find Swoon's music and a selection of videopoems that underscore his remarkable gifts for the visual, sonic, and experimental. without it, we are blind. ✦ Be sure to browse SFMOMA's multimedia offerings, including videos, podcasts, audio commentaries, and interactive features. The range of online educational material, including artist interviews, mobile tours of exhibitions, and videos with artists discussing their creative processes, is rich and rewarding. ✦ Read painter and printmaker Sandra Bowden's wonderful essay for ArtWay titled "The Vocation of the Artist". Writing that art should "feed your soul, enrich, and teach you in ways you know are right for you in following [your] particular talent", she urges us to follow our passion, be a "birthgiver", and "create art that illuminates, not just illustrates." Be sure to visit Bowden's Website; her work is stunning. 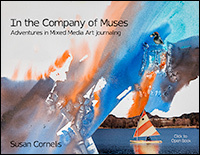 ✦ Artist Susan Cornelis has released an affordable e-book In the Company of Muses: Adventures in Mixed Media Art Journaling, a self-paced multi-media course. Susan, a wonderful artist and instructor, includes her Muse Group practice tips for achieving "creative flow through playful art making", meditation, and writing; a materials list for your art space; detailed mixed media art lessons covering inks and gesso, image transfer, antiquing paper, and more; demonstration videos of art-play lessons; instructions for creating art journals; and access to a forum on FaceBook where images and ideas can be shared with others following the course. An introductory video about the e-book is at the link and on YouTube. ✦ The annual Ray and Nancy Loeschner Art Competition is open to all artists who work in a two-dimensional format. The application deadline is November 2. Go here for additional information and a link to the application. A prize of $3,000 is awarded to the first-place winner. ✦ In this video, Amsterdam-based artist and designer Job Wouters ("Letman") talks about his wall mural Home (2013) in Walker Art Center's lobby. I like what he has to say about beauty and the meaning of the word he selected for his painting. Wouters, who has won many awards for his work, which ranges from editorial illustrations, to fabric prints, posters, site-specific murals, and body-paint designs, created the piece for the Walker's "Insights 2013" program, a design lecture series. (Still photos are available at the link for Home.) For information about his book Letman: The Artwork and Lettering of Job Wouters (July 2012), go here. ✭ Continuing on view at ASU Art Museum, Tempe, Arizona, is "Turn off the Sun: Selections from La Coleccion Jumex". The exhibition, on view through September 7, features major works and installations from the collection that have been centered around the broad themes of borders, labor, movement, and site. (La Coleccion Jumex [English], based in Mexico City, comprises more than 2,600 works by emerging and established contemporary artists from Mexico, Latin America, the United States, and Europe.) Participating artists are Doug Aitken, Alejandro Almanza Pereda (he has contributed a site-specific commission), Francis Alys, Inaki Bonillas, Raul Cardenas Osuna/Torolab, Lawrence Carroll, Jose Damasceno, Mark Dion, Sam Durant, Monica Espinosa, Dan Graham, Cao Guimaraes, Daniel Guzman, Liza Lou, Eduardo Sarabia, Santiago Sierra, Robert Smithson, Superflex, Mungo Thomson, and Jeff Wall. Mexican curator Paola Santoscoy will give a lecture about the current art scene in Mexico on September 5. ✭ "Japan's Modern Divide: The Photographs of Hiroshi Hamaya and Kansuke Yamamoto" continues through August 25 at The J. Paul Getty Museum, Los Angeles. The Getty has created a separate page for each photographer. That for Hamaya offers images of his Japanese landscapes and society, while that for Yamamoto presents Surrealist-inspired, avant-garde images. The work of both photographers, a study in contrasts, is equally fascinating. See this excellent article on Hamaya by Ian Buruma: "The Japan Beneath the Snow", NYR Blog, The New York Review of Books, April 10, 2013. 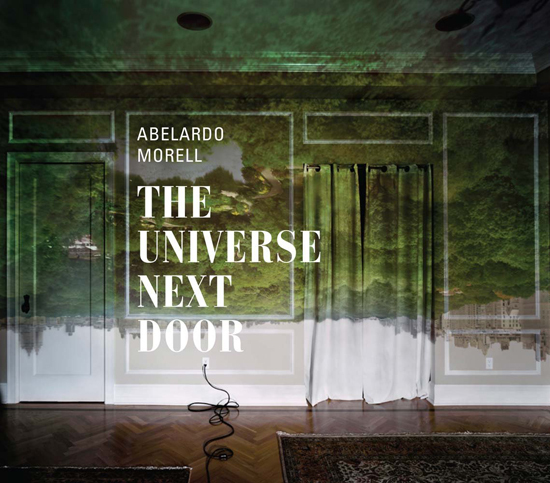 ✭ More than 100 photographs by Abelardo Morell (b. 1948) are on display at The Art Institute of Chicago. 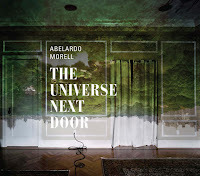 The exhibition, "Abelardo Morell: The Universe Next Door", covering the period 1986 to the present, is Morell's first retrospective in 15 years and includes many color images being shown for the first time. Born in Cuba, Morell came to the United States in 1962, taking up photography while a student at Bowdoin College in Maine and finding his inspiration in Henri Cartier-Bresson and Robert Frank. His subjects range across books, maps, money, and other conveyors of cultural meaning and his techniques vary widely, from photograms to pinhole camera obscura. He's considered one of our most inventive and innovative contemporary photographers. (Be sure to spend some time on his beautiful Website, which features an excellent selection of his marvelous work.) A catalogue accompanies the exhibition, which remains on view through September 2. ✭ The year-long celebration of sculptor Bernar Venet (b. 1941) at Frederik Meijer Gardens and Sculpture Park in Grand Rapids, Michigan, showcases five large outdoor works in steel. The sculptures remain on view until October. ✭ Tennessee's Memphis Brooks Museum of Art continues through July 13 the exhibition "Where Water Meets Land: New Work by Andrew Saftel". The show features Saftel's photographs from a month-long visit to Bangladesh; Saftel layers his images to draw contrasts between the country's natural and urban landscapes. See images of Saftel's interesting narrative paintings on wood, sculpture, and works on paper. Do you think or feel beauty? wonderful, and I can make them repeatedly wonderful. . . .
Is beauty intrinsic or extrinsic? Is beauty something you know when you see it? How do you know? Does how we regard or define beauty matter? In this fascinating talk for TED, Richard Seymour, a leading product and innovation design consultant with an international reputation, raises the provocative question, "Do we actually think beauty, or do we feel it?" Watch, as Seymour, who has spent much of his career considering and trying to answer that question, explains why even a plastic bag can be "one of the most beautiful things I know." of celebration, and that's when it really began to grow. . . .
Each of us has a particular way of handling life-threatening illness or other catastrophic life experiences. For psychologist Elayne Lansford, recovering from breast cancer, and her husband John Villanacci, a lung-transplant patient, gardening became both a source for channeling sadness, sorrow, and anger and a means to healing. Watch as Lansford takes us on a tour of her magical "Bottle World", a place for quiet reflection and meditation and a sanctuary of peace. My thanks to Looking at Glass, where I first learned of Lansford's wonderfully creative garden. Still photos of the garden may be viewed at Central Texas Gardener blog. dangle hosannas in light-sliced air. You grieve the broken neck of the rose. thorns splitting heart's decimal points in red. you squeeze emptiness from black holes. pinpricks: your path unsewn in words. tie loose threads in your memories. In his extraordinary short film Who Art in Heaven, director Thom Stark, author of The Human Faces of God (Wipf & Stock Publishers, 2010), impels us to consider how we come to experience and commit to faith. I don't think you can watch this mesmerizing film without reflecting on your own path of spiritual discovery and on what your faith, through a single act of prayer, calls on you both to accept and give up. You cannot help but come away changed somehow after even a single viewing. As David R. Henson has written in his review of this beautifully produced and highly poetic film, Who Art in Heaven "is deceptive in its apparent simplicity"; not only is it a "profound meditation on prayer and the spiritual life", it can leave you feeling "so incredibly naked and exposed", as present to "the silence and painful absence and abandonment of God" as to God's "life-giving" force within you. Stark has another film, the 15-minute Revolution (see the trailer), which was screened at this year's 46th international WorldFest-Houston. Like Who Art in Heaven, Revolution features Stark's brother Jim. Among his other films are Dear Whiskey and Note to Self. Oil on Cardboard, 67" x 72"
to Vitebsk's pale domed crown. forever past but binds them still. he offers with arm aloft, so open. of joy and praise to Mother Russia. This poem is my offering for today's photo prompt at Tess Kincaid's Magpie Tales. Go here to read others' contributions or to drop the link to your own poem or flash fiction. * The above, apparently, is a misquote, as are these variants: "When one tugs at a single thing in nature, he finds it attached to the rest of the world. "; "Tug on anything at all and you'll find it connected to everything else in the universe. "; "If you pick up anything in the universe, you find it hooked up to everything else. "; and "Tug on one part of nature and you find the whole world connected." According to the Sierra Club's post "John Muir Misquoted", the correct version is: "When we try to pick out anything by itself, we find it hitched to everything else in the Universe." Clearly, some versions are a bit more elegant or poetic than others. Even Muir himself rewrote his own original idea: "When we try to pick out anything by itself we find that it is bound fast by a thousand invisible cords that cannot be broken, to everything in the universe." It does pay to be curious and check sources! John Muir (1838-1914), founder of world-wide conservation movement and one of America's finest nature writers. Today's short is a trailer for a film about poet Spencer Reece's work in Honduras in 2012-2013 at Our Little Roses orphanage for girls. The orphanage is in San Pedro Sula, which has the misfortune to be known as the murder capital of the world. Reece, ordained an Episcopal priest in 2011, is teaching the girls how to write and illustrate poetry with watercolors. Reece's project with Our Little Roses is the subject of a documentary being made by James Franco. Reece, whose poem "The Road to Emmaus" is in Best American Poetry 2012, edited by Mark Doty and David Lehman, is the author of The Clerk's Tale (Mariner Books, 2004), his debut collection and a winner of the Bakeless Prize, and the forthcoming The Road to Emmaus (Farrar, Straus & Giroux, 2013). He is the recipient of National Endowment for the Arts and Guggenheim fellowships, a Whiting Writer's Award, and the Witter Bynner Prize. Reece's project in Honduras was supported by a Fulbright grant. My thanks to Kathleen Fleniken from whom I first learned of Reece's inspirational project in Honduras. James Franco's short film The Clerk's Tale takes its inspiration from Reece's poem "The Clerk's Tale included in Reece's debut poetry collection of the same name and based on Reece's employment at Brooks Brothers in the Mall of America in Minnesota. See Franco's teaser here. Franco's film was screened at Richard Hugo House in March. ✦ Korea-born and New York-based Jayoung Yoon's human hair sculptures are ethereal and beautiful. Her work, she says in her Artist Statement, addresses the "perception of being 'present' in any given moment." Take some time to view her drawings and the performance art videos on her Website and at Vimeo. She achieves an extraordinary stillness and clarity in her work. ✦ If you have not been privileged to see the marvelous artworks of paper and acrylic on canvas and wood by Amy Eisenfeld Genser, do take a look at her portfolio. The artist, who lives in West Hartford, Connecticut, takes her inspiration from the textures, patterns, and grids she finds in nature. Read her interesting interview with Ann Martin at All Things Paper. 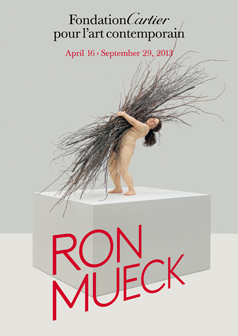 ✦ If you haven't seen it since it went live, take at look at LACMA's LACMA Collections site. ✦ The heart remains a steadfast inspiration to artists. 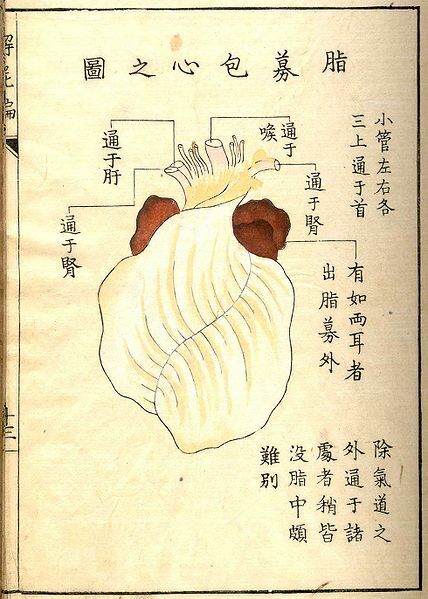 See "The Heart in Art" at The Public Domain Review for a selection of images of hearts, including the one below. ✦ A new iPad app, "DrawQuest", from 4chan and Canvas founder Chris "moot" Poole is available through iTunes. ✦ The video below was created for the recently concluded exhibition "Vanitas!" by Jeanne Silverthorne at The Phillips Collection, one of my favorite museums in Washington, D.C. Part of the museum's wonderful Intersections series on contemporary art, "Vanitas!" featured Silverthorne's imaginative floral reliefs and familiar objects of rubber, each designed to represent "meditations on the brevity of life". An audio tour of "Vanitas!" is available at the museum's Website (see Multimedia). 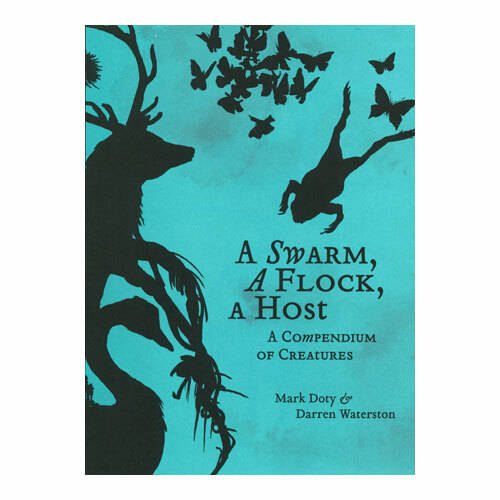 ✭ Twelve gorgeous color aquatints by the masterful Darren Waterston and text plates with poetry by Mark Doty are on view in "Darren Waterston ~ A Swarm, A Flock, A Host: A Compendium of Creatures" at San Francisco's Legion of Honor. Presented through December 29, Waterston's portfolio, comprising a contemporary version of a medieval bestiary, was commissioned by Achenbach Graphic Arts Council. The artist, inspired by Doty's poetry, depicts silhouetted animal and plant forms as both playful and menacing. An illustrated exhibition catalogue (Prestel Publishing, March 2013; see image to right, above) is available. ✭ In Ridgefield, Connecticut, The Aldrich Contemporary Art Museum is presenting through August 25 "Dan Miller and Judith Scott: Creative Growth". The remarkable art, comprising mixed media sculptures and works on paper, is the result of Miller's and Scott's engagement with Creative Growth Art Center, Oakland, California, which serves a community of adults with autism, Down syndrome, schizophrenia, and other developmental, mental, and physical disabilities. The center operates a studio art program and a gallery space. The exhibition brochure below features images of some of the works on view. Scott, born with Down syndrome, died in 2005; Miller, diagnosed with autism, has been working at the center for more than a decade and a half. ✭ Continuing through July 21 at Pittsburgh's Carnegie Museum of Art is "'Japan is the Key. . .' Collecting Prints and Ivories, 1900-1920". Drawn from the museum's collection of Japanese woodblock prints (ukiyo-e) and the Carnegie Museum of Natural History's holdings of Japanese carved ivories (okimono), the show features more than 50 rarely seen prints by masters Hiroshige, Hokusai, Kitagawa, Kunisada, and Utamaro that were collected by poet and critic Sadakichi Hartmann and ivory figures of people, animals, and gods that were collected by H.J. Heinz. See images at the exhibition link above. 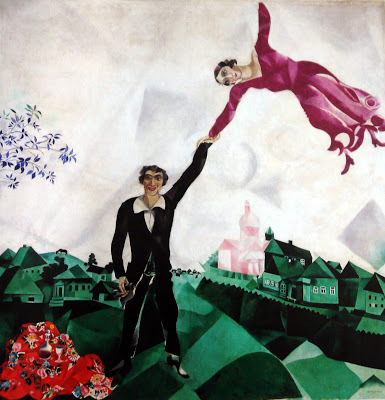 ✭ Last week, Joslyn Art Museum, Omaha, Nebraska, opened "Renoir to Chagall: Paris and the Allure of Color", organized by Dixon Gallery and Gardens, Memphis, Tennessee. Featured are 19th C and 20th C works by Cezanne, Chagall, Degas, Gauguin, Matisse, Monet, Pissaro, Renoir, and Toulouse-Lautrec. The exhibition is on view through September 1.
to be as honest as possible. Award-winning writer Sherman Alexie (b. 1966), the author of more than 20 books encompassing poetry, novels, short stories, and screenplays, was interviewed this spring by Bill Moyers. Alexie movingly addresses the difficulties of being both "native" (Spokane/Coeur d'Alene) and "a White American" who "live[s] in the in between". He also talks candidly about his diagnosis of bipolarity and its effect on his creativity; gives his perspective on communicating via social media; and reads a number of his poems, including "Tribal Music", "The Facebook Sonnet", and "Another Proclamation", as well as an excerpt, "War Dances", from his short story collection Blasphemy (Grove Atlantic Press, 2012). Of writing, Alexie says, "I'm naturally a poet. I started as a poet. I think it's how I look at the world. . . ."
and listen to what unfolds. The combination of intensely dark and electrified light, cracking and brooding, sometimes high-pitched sound delivered via multi-channel audio, and ever-changing kinetic movement in Robert Henke's sound-and-laser installation Fragile Territories makes the performance of the artwork riveting to watch. The installation, Henke explains, features four "powerful white laser beams [that] draw a floating white object on a thirty meter wide and six meter high wall in a completely dark hall, slowly evolving shapes, edges and curves of shimmering, pulsating light." A more complete description about the performance and technology used to create the artwork can be found at the link. You'll also find there a 10-minute film of the laboratory test of the installation, which I found equally fascinating. A lecturer and writer on sound and creative use of computers, Henke, according to his Website, "builds and operate machines to produce art", often creating his own instruments and tools to explore and manipulate real and virtual sound, light, and movement. A professor of sound design at Berlin University of the Arts, Henke has exhibited his installations at museums and galleries as well as music festivals around the world. Fragile Territories, which was commissioned by Le Lieu Unique, Nantes, France, will be presented in Bulgaria in July and in August in Germany. Henke's Website features a Music Downloads Archive of his Free Track of the Month series, as well as other music releases for which Henke offers listening previews. There is some wonderful work here! My thanks to The Creators Project where I first saw the short. with so much care to make thin. This is a found poem, which I crafted from a prose excerpt from Party Going (1939) by English novelist Henry Green (1905-1973). Last week, Tom Clark featured the excerpt at his wonderful blog. As it happened, the excerpt fitted this month's poetry theme at TweetSpeakPoetry: "Mirror, Mirror". 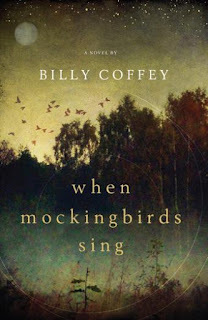 Tomorrow, June 11, marks the appearance of Billy Coffey's third novel When Mockingbirds Sing (Thomas Nelson), which an early review at Publishers Weekly described as an "intriguing read [that] challenges mainstream religious ideas of how God might be revealed to both the devout and the doubtful." As are many bloggers who are fans of Billy's writing, I'm pleased to do my part to help promote this fine novelist's newest work. Billy, who lives several hours south of me, in Charlottesville, in Virginia's beautiful Blue Ridge Mountains, generously agreed to talk with me about about the novel and his creative process. I think you'll find the interview candid, insightful, and informative. Maureen Doallas: Where did you do most of your writing of this novel? Billy Coffey: In short, wherever I could: lunch breaks at work, early mornings, late nights. I ended up just carrying a rolled-up notebook in my back pocket [to write in when I could] steal what spare minutes I could. A chapter-a-day is usually my goal. However and wherever I get it is something I've learned I can't control. Just so long as the words are there at the end of the day, I'm good! MD: What is your your preferred time of day or night to write? Do you think the time of day you write affects your storytelling in any way? If so, how? BC: If I had my druthers, I would write late at night. I like the dark and quiet. Both keep me focused. And there's something to be said for being a little weary when I'm working on my first drafts. It's easier to shut off my internal editor and just write. Conversely, I've found mornings [to be] best for editing. A night's sleep puts some distance between me and whatever I've written. MD: What would we be surprised to learn if we were privy to your daily writing habit? BC: How hectic it is. It's rare when I can sit down for 30 minutes and write uninterrupted. Not exactly the easiest way to get a novel finished but, in this day and age, I'm afraid it's the most common. MD: For Mockingbirds, did you work from an outline or just hold the story in your head as you wrote? BC: I tend to do a lot of writing before I begin an actual book. Nothing fancy—just sketching out the characters, trying to get a feel for them. I do like an outline; otherwise, the fear of rambling kicks in. But it's usually a very vague [outline], not much more than where I want to begin, where everyone needs to be at the end of the first act, and what the climax will be. MD: What was the revision or redrafting process like for you? BC: I went through three drafts of Mockingbirds. I'm not sure how it happened but the final draft turned out to be nearly identical to the initial draft. It was by far the easiest novel I've written. Everything just flowed. MD: How did you select the title for this novel? What others did you consider that you might share with us? BC: [The publisher] Thomas Nelson came up with the title. [The title's] a very important aspect of a book that I'd never really considered with my previous novels, and something [Thomas Nelson] devotes a tremendous amount of time studying. We bantered a bit, [considering] The Rainbow Man and Fly Into Me and Into the Maybe. But as soon as I heard When Mockingbirds Sing, I knew that was a winner. MD: I appreciated how you organized your story. Even though events take place within a limited time, the novel has a more sweeping feel to it. Can you comment on your use of passage of time as a story-telling device? BC: I wanted a definite timeframe for the story, and a narrow one. Everything builds to Carnival Day, and each section serves as a countdown to that. I think it adds more of a sense of urgency to the story, the sense that something is building, even if you don't know exactly what that something is. MD: What influenced your decision to include a "one year later" wrap-up? BC: I wanted to offer a tiny glimpse into the long-term effects of what the town [the fictional Mattingly, Virginia] had gone through in the course of a single week. I don't necessarily believe in happy endings but there should always be a sense of closure. I think the wrap-up does that. It gives a sense of everyone moving on as best as they can. MD: This novel is considerably more complex than your other work, requiring understanding of a range of interconnected relationships and need to describe events from a number of different perspectives—of characters young and old and in-between, of believers and not, of those still finding their way and those who believe they've been found but waver. The town itself and even the weather are characters. What aspect of craft was most challenging to you while writing this book? BC: I think the most challenging aspect was Leah herself. She's the story's main character but nothing is told from her point of view. Everything about her had to come from the eyes of the other characters. [Giving life to her] proved more difficult than I'd imagined but in the end, she came out just as evolved (maybe more so) than anyone else. MD: Did you ever experience a snag in the writing? How did you resolve it? BC: There always comes a point in my first drafts when I look up and find something that isn't working. Something big! With Mockingbirds, I had Leah as the main narrator through the first 50 pages. [That approach] worked fine until I realized that I'd given away the story's principal mystery, which is whether "The Rainbow Man" [Leah's invisible friend] is real or not. I'm quickly finding that a sense of mystery is key to any story. I didn't have a choice but to start over. MD: How did the shift from first-person narrative in your second novel Paper Angels to third-person narrative in Mockingbirds affect your role as storyteller? BC: It definitely broadened me. The allure of the first-person is that it's so intimate and, at first, I was afraid that changing that point of view would make the story a little colder. In fact, the opposite happened. MD: What do you listen for in writing the voice of a character such as the child Leah, who stutters? What did you do to ensure you got Leah's voice right? BC: [Getting Leah's voice right] took a lot of work. Most of it involved studying speech patterns of stutterers and focusing on those clusters of hard consonants that often give them the most trouble. The difficult part was trying to find a balance in [Leah's] dialogue. I didn't want to overwhelm the reader with a constant barrage of repeating letters, so I focused on just giving enough to serve as a reminder that this little girl really has a thick wall between her and everyone else. MD: Of all the characters in Mockingbirds, which is most dear to your heart, and why? BC: Allie, without a doubt. If Leah is the main character of the story, Allie is its soul. She's the only person who truly connects Leah with the town. Her struggle of belief versus doubt is one we all struggle with. MD: The mythology and symbolism of the mockingbird is fascinating. For example, creation myths of the Hopi and other Pueblo peoples hold that it was a mockingbird that first taught them to speak; also, that when a mockingbird runs out of songs, anyone who is not "allocated" to a particular tribe is returned to the underworld from which he emerged. Other cultures view the mockingbird as guardian of the dead and as a mediator. Did you research the mythology when you made the mockingbird a symbol in your novel? BC: Growing up, I remember those long summer nights when we'd leave the windows open at night. There was a huge maple tree in our backyard, and every night a mockingbird would sit in those branches and sing. It was the most amazing thing to me. My mother was the one who first told me why it sang at night. I never forgot it. The mockingbirds were one of the last things I added to the story. [Their appearance] seemed to fit so well with what everyone in town was going through. MD: Novelist, memoirist, and short story writer James Salter said in an interview for Narrative, "Fiction doesn't mean 'made up'." Keeping When Mockingbirds Sing in mind, how would you respond to that statement? 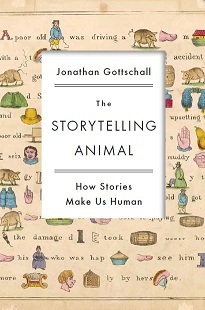 BC: There is something mystical in the idea of story, of how for thousands of years [storytelling] was the primary means of passing down universal truths from one generation to the next. And that's the most important aspect: truth. Those novels that stand the test of time are the ones that speak to us on a fundamental level, regardless of their setting. At its best, fiction (really, all good writing) is a mirror the reader holds to him- or herself. MD: I found myself thinking a lot about the novel's setting: small-town rural Virginia. Could Mattingly exist as an urban environment and serve your story as well? Why or why not? BC: I don't think it could, to be honest. The town of Mattingly itself, with all its intricacies and foibles and its sense of history and isolation, is an important character in the book. Twain said, "Write what you know." I know the country. And I've found that readers are drawn to that either because they understand that lifestyle or because it offers a form of escapism. I'm good with both. MD: I finished reading the book a week after a tornado destroyed Moore, Oklahoma. Your fictional account of a tornado serves the novel's symbolism on a number of levels. What influenced your choice of this particular weather event? BC: During the planning stages, I had as the climax of the story a car accident. It was going to be a much more personal story that involved a single family rather than an entire town. But just as I began writing, a tornado touched down one afternoon only a few miles from our house. I remember driving past [the site] later with my family, all of us silent, taking in all those downed trees and barns, and all of those damaged homes. I can think of few [other] natural disasters that would leave someone with such a sense of fear and awe. MD: How are you marketing your novel? What, if anything, are you doing now that differs from how you marketed your earlier books? BC: I have a real pro in Ruthie Dean, who is handling publicity for the book through Thomas Nelson, and Kathy Richards [we bloggers know Kathy well as katdish] is helping with a lot of online stuff, too. There will be radio and television appearances, and I'm writing for some very high-profile websites. [The marketing for Mockingbirds] is much more intense than [for] my previous two novels, and that ramps up my excitement more. MD: Isabel Allende has said, "I don't mind telling everything [in my writing] because nothing has happened to me that is unique." What, in this novel, are you revealing about yourself? BC: At its core, Mockingbirds is about the prejudices we all carry—religious versus secular, insider versus outsider, especially as it pertains to the notion of God revealing Himself. Who would He reach out and touch? Who would He allow to speak for Him? In all honesty, I'm not sure if I would believe in someone like Leah. That's a tough thing to say but it's true. MD: You now have three novels in the marketplace. What's up next for you? BC: My fourth novel will be out in March of next year. It's called The Devil Walks in Mattingly and it's about the death of a boy 20 years ago and the remorse that's been left behind. I'm currently writing number five, which will be out for Christmas, 2014. The title for that one is not set yet but I will say that Allie is the main character. Just can't let her go! Thank you for a wonderful interview, Billy. I and your many other fans will look forward to your next two books. When Mockingbirds Sing is available in print and as a Kindle e-book. Billy Coffey's other novels are Paper Angels (Faithwords, 2011) and Snow Day (Faithwords, 2010). Read my interview with Billy about Paper Angels.